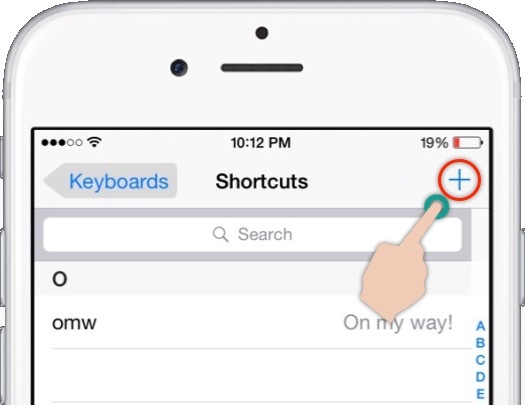 Home » Tech Tips » Shortcuts » How to Add Shortcuts for Emojis in iOS Keyboard? 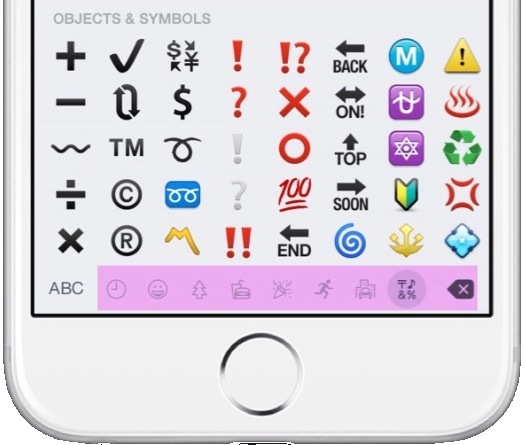 In the iOS update of version 8.3, Apple added huge list of Emoji icons to the default keyboard. The list is so huge and makes it difficult for anyone to remember where exactly the icons are there. This may result in searching icons during typing and consume lot of time. Fortunately there is a way to add shortcut word for the few emoji icons you frequently use and here we explain the step by step process on how to do it. 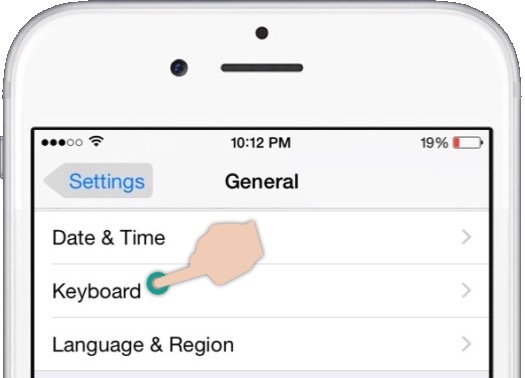 Tap the settings icon on the home screen and then navigate to “General > Keyboard” option. Tap on the “Shortcuts” option. iOS allows you to create your own shortcuts for the long phrases like “omg” can refer to “Oh My God!” when typing in the keyboard. 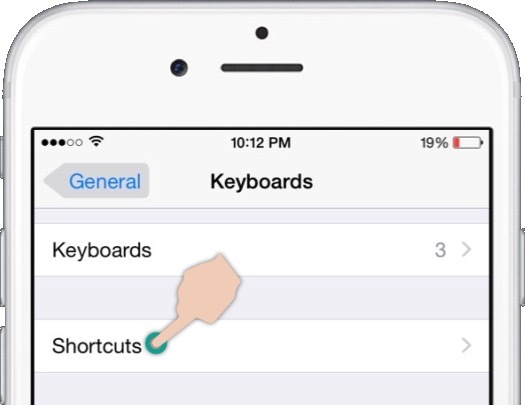 Similarly you can add shortcut to any emoji icons. Tap on the “+” icon available on top right corner. Choose the emoji icon for the phrase and enter your shortcut for that emoji. 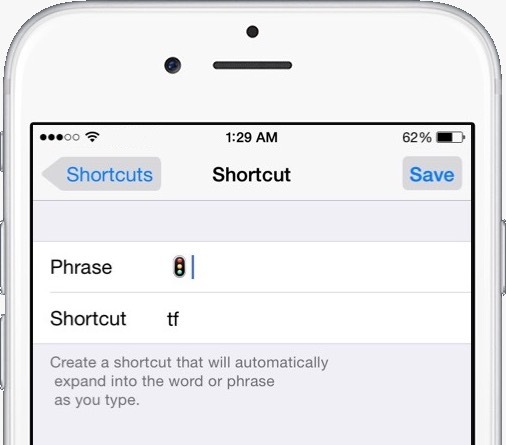 For example, we select the vertical traffic light emoji icon as a phrase and enter “tf” as shortcut. 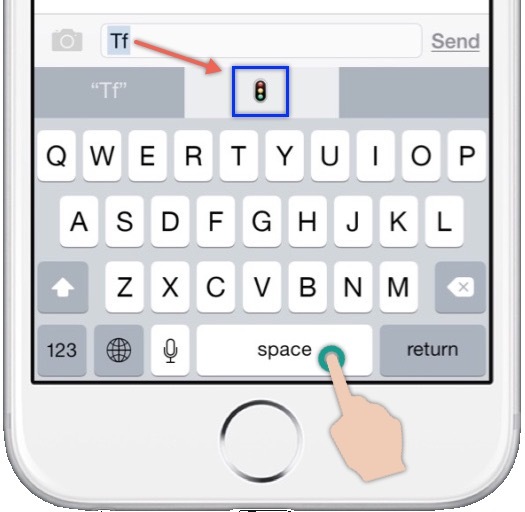 Whenever typing with the default keyboard in apps like Messages or mail, type the shortcut “tf” to see the traffic light emoji appears in the quick type bar. Just tap on the spacebar to select the highlighted emoji icon without searching in the big list. everyday i use emojis but don’t know this shortcut 🙂 thanks for sharing.